If you’ve enjoyed my summer coverage of movie serials in Fates Worse Than Death, I invite you to check out a new serial-related feature at The Solute: in Tune In Next Week, I’ll be watching and reviewing the same kinds of serials one episode at a time rather than over the course of a week. 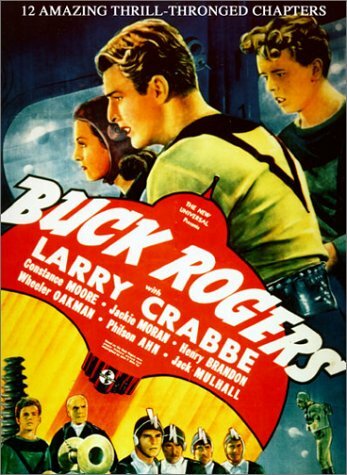 I explain more about this approach in this introductory article, as well as setting up the first serial I’ll be covering: 1939’s Buck Rogers, starring Flash Gordon star Buster Crabbe. The weekly approach will probably be a little different from what I did in Fates Worse Than Death, but I plan to continue that series here in the summer, and I expect the two formats to complement one another. (I also don’t plan on repeating coverage of serials I’ve already written about here.) New installments of Tune In Next Week will appear on The Solute on Saturday mornings. Come on over!